Qualification: Matriculation and 3 years full time Diploma in Engineering in Mechanical/Metallurgy/Electrical/Instrumentation/Chemical disciplines from a Govt. recognized Institute with minimum 50% marks (40% for SC/ST/PWD candidates). 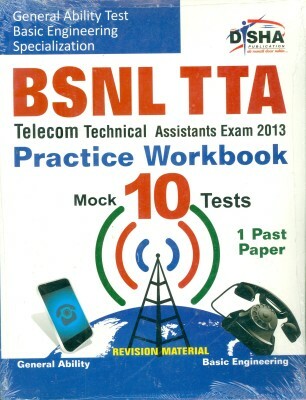 Here i am giving some books for preparing TTA, i hope those will be helpful..
Bharat sanchar nigam ltd(BSNL) invites applications from young and dynamic engineers from various regions for the post of Telecom Technical assisatnt(TTA). Examination Fees : SC/ST candidates – Examination fees – Rs. 300/-. 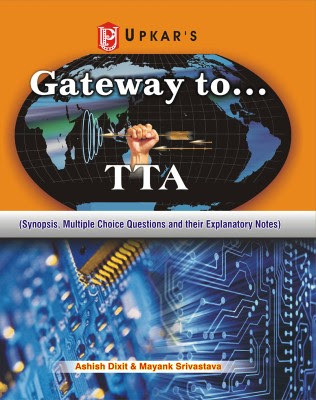 GM, Cat I, Cat II a, Cat IIb, Cat IIIa, Cat III b candidates – Examination fee is Rs. 700/-. The written test will be held on Sunday 18th September 2016. Request for postponement of the examination or change of centre/venue will not be entertained under any circumstances. Hi.. we launched an educational portal eqans, in this you can search for a new latest job, and you can find multiple jobs from different career websites at one place, no need to search multiple webpages for a job, a single place to find your job. We are also providing practice questions and mock exams for preparing written and interviews. i hope this will helpful for you. we are in starting stage, we need your suggestions to give better results for you. Eligibility : B.E/ B.Tech (ECE,EEE) from 2015/ 2016 batches with an aggregate 65% and above in throught accademic.